Oh Lee Ann ~ I would be happy about this too! BEAUTIFUL job! Fun & Fabulous! Love this technique. Your background turned out awesome and the sequins here and there are a great touch. What a great take on this fun technique! Wonderful inking job too...love it! Love this card, it is so beautiful! All of the techniques you have been using are amazing! the background looks fabulous and I love those sequins! Awesome card! love your card! the pattern is awesome! 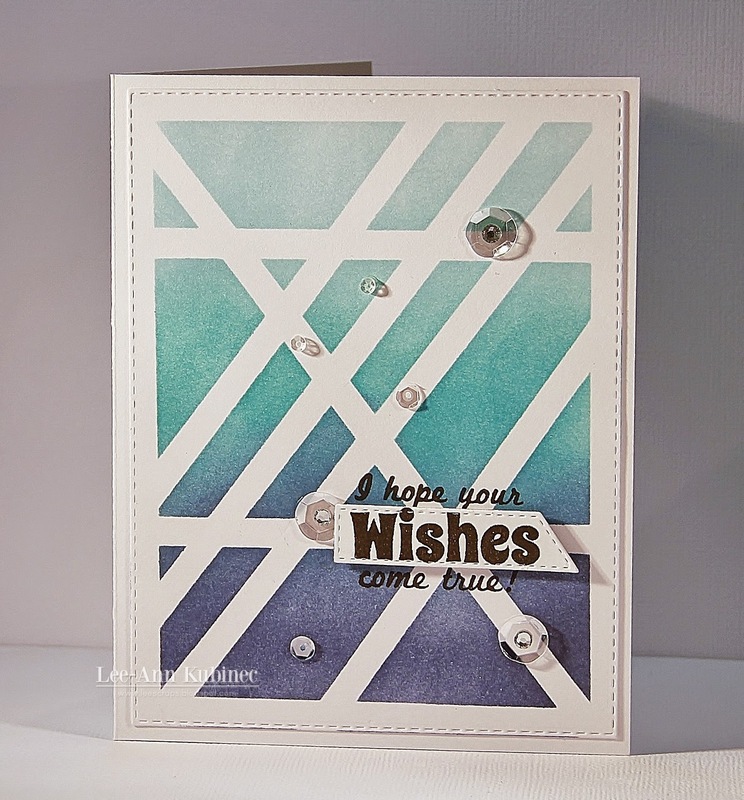 Ooh love the background and the perfect amount of sequin:) Lovely card. What a great card!! Love the background and the colors!! Have a great day.